Sun Computer Solutions offers online backup services to ensure secured, cost effective & prompt online data backup & storage solutions for large and small size business. 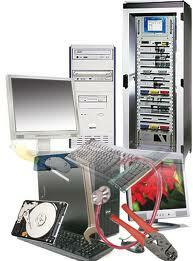 Sun Computer Solutions provides inexpensive online backup services which are secure, automated and easy to use. We have professionally managed, mirrored and highly redundant data centers with a 99.9% historical uptime over the last seven years to ensure 24/7 availability of your files whenever you need them. Thousands of clients ranging from individuals to large businesses have chosen BackUp Solutions to protect their valuable computer data. Disaster recovery is the process, policies and procedures related to preparing for recovery or continuation of technology infrastructure critical to an organization after a natural or human-induced disaster. Rollout services encompass the full set of technology service and delivery needs required for managing change in an organization's technology infrastructure so that it develops in an understandable and reliable manner. Who benefits from rollout services? Any business that depends on information systems also depends on a continuously developing technology infrastructure and on the introduction of new systems into that infrastructure. As their information technology infrastructure grows and develops, organizations using IT Solutions rollout services benefit from systems integration and introduction that occurs on-time, on-budget, and with a minimum of interruptions to the business process. Moreover, IT Solutions' rollout services are implemented in a manner that contributes to the stability and reliability of the overall technology infrastructure after rollouts occur. Most families and small businesses utilize more than one computer within single building. This creates the need to share files, printers and a high-speed Internet connection. The experienced network technicians at Calibre Computer Solutions can install a new wired or wireless home network or troubleshoot an existing one. We can also provide network security solutions to keep your computers and data safe from would-be hackers. Our Initial Network Setup service includes connecting up to two computers, one printer and one high-speed Internet connection by either wired or wireless medium. We can also install and configure third-party firewall software to protect your network. If you already have an existing network and need additional computers or devices connected to it, our Network Expansion Service provides the solution. For small businesses and organizations with five (5) or more computers and more complex computing needs, Calibre Computer Solutions offers its business network services. Our certified network technicians can evaluate your specific needs and recommend and implement a solid, server-based network that can grow with your business. We also provide troubleshooting and support for Windows Server-based networks. Copyright © Sun Computers. All Rights Reserved.